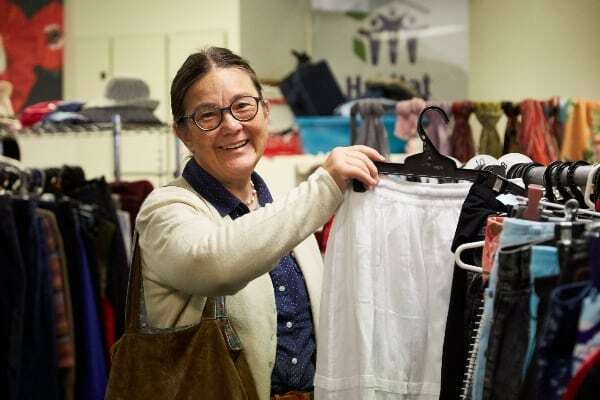 Boese found the store through Volunteering Hawkes Bay and has donated her time for the past four years. She says she didn’t consciously pick a building charity. The people drew her to the ReStore as they seemed very helpful and easy going. Boese says she was inspired by former US President Jimmy Carter’s involvement in Habitat for Humanity builds. She has read plenty about his passion for the charity in TIME magazine. Carter is quoted saying “Habitat has successfully removed the stigma of charity by substituting it with a sense of partnership”. Boese starts her work in the morning and leaves at lunch, she likes listening to the radio and putting the clothes out. Boese says that the ReStore has given her valuable work experience, which aided her in her search for part time employment. Boese met a customer through the ReStore who referred her to his sister who worked in a cleaning company, where Boese found a paid job.